MFF Programming Team Reports Back from TIFF 2013! L to R: Jesse Eisenberg, Dakota Fanning and Kelly Reichardt at TIFF 2013 NIGHT MOVES Q & A. Photo by Scott Braid. Greetings from Toronto, where the 2013 Toronto International Film Festival is in full swing. Each year Maryland Film Festival’s programming team heads to TIFF to take the pulse of the current world-cinema scene and scout films to bring back to Baltimore—conveniently, just as our own 2014 call for entries has launched. CLUB SANDWICH—From Mexico comes a coming-of-age story that has as much to say about parenthood as it does adolescence. The plot is very simple: a 40-something mother and her shy teenaged son, who have an unusually close relationship, vacation at a motel during its off-season. Mother and son enjoy a relaxed stay together, lounging by the pool, ordering room service, playing board games, and nurturing a rapport that’s half bickering, half affectionate teasing. But when another family arrives with a teenaged daughter who is just a bit older and more experienced, the two teenagers develop a flirtation—to both the bemusement and consternation of the boy’s mother. MFF followers may remember director Fernando Eimbcke from 2009’s Lake Tahoe; here he has developed a delightfully deadpan look at the first fumblings of love—and a mother’s unexpected reactions—that stands as his warmest, richest, and funniest film yet. NIGHT MOVES—Kelly Reichardt (Wendy and Lucy; MFF 2011’s Meek’s Cutoff) returns with a quiet but riveting character study energized by extremely gripping thriller notes. Night Moves’ intimate tone will be familiar to followers of Reichardt’s work, but it also organically broadens her usual narrative scope as it tells its story of militant environmental activists who band together to plot the destruction of a river dam in Oregon. Jesse Eisenberg gives a restrained but winning central performance as a brooding young man whose actions steer him into unexpectedly gray moral territories; his bold performance sheds his usual persona as effectively as Michelle Williams did hers to star in Reichardt’s last two features. Where recent art-house thriller The East portrayed a similar subculture with cartoonish strokes, Night Moves counters with deep, knowing realism, fleshing out true-to-life personalities and dilemmas. As with all of Reichardt’s films, the natural world of the Pacific Northwest comes alive on screen to serve as more than mere setting, factoring heavily into the narrative and the poetically presented inner worlds of these characters. THE SACRAMENT—The new thriller from Ti West (House of the Devil) is built around a veritable who’s who of familiar MFF faces, including Joe Swanberg, Amy Seimetz, Kentucker Audley, and Kate Lyn Sheil. As a fashion photographer (Audley) becomes increasingly worried about his sister, who’s joined a communal family as a means to escape her problems with addiction, he invites a Vice crew (including cameraman Swanberg) to visit the commune with him. There we meet his sister (Seimetz) and a diverse, seemingly harmonious cluster of family members who swear they made the right decision in shedding their belongings to live together with their new “Father.” But as the story deepens–with nods to both The Source Family and Jonestown–some disturbing horrors come to the surface. West’s latest boasts a riveting payoff, not to mention excellent performances from all. Still ahead this week are the latest from master filmmakers Claire Denis, Tsai Ming-liang, and Hong Sang-soo; new films from the directors of MFF sleepers Daytime Drinking and Blind Loves; the highly buzzed, fresh-from-Cannes thriller Blue Ruin by MFF alum Jeremy Saulnier (director of MFF 2007’s Murder Party; cinematographer of such films as Septien and I Used to Be Darker); and almost certainly some under-the-radar discoveries from newcomers. With the festival’s annual “City to City” program focusing on the explosion of intriguing films coming from Greece, we have our hands full: indeed, when all’s said and done we’ll have viewed nearly 100 films from all corners of the globe. Stay tuned for more TIFF updates from MFF’s programming team, and thanks for reading! MFF Alum Kate Lyn Sheil Joins Season Two of Netflix’s ‘House of Cards’! Kate Lyn Sheil and Kentucker Audley in SUN DON’T SHINE. While her SUN DON’T SHINE director Amy Seimetz can currently be seen in AMC’s “The Killing” and HBO’s “Family Tree,” Kate Lyn Sheil will soon be seen in television project of her own. Click here to find out more on Indiewire.com! MFF Presents SUN DON’T SHINE with special guest Kate Lyn Sheil on 4/3! Amy Seimetz‘s brilliant psychological thriller SUN DON’T SHINE, a massive hit at Maryland Film Festival 2012, returns to Baltimore for one screening only! Joining us as a special guest will be star Kate Lyn Sheil! Tickets are $7 for the general public, and FREE to current Friends of the Festival, MICA and JHU Students (with ID). Click here for more information. $7/Free for Friends of the Festival, MICA and JHU Students (with ID)! Each year produces a handful of daring films that not only challenge audiences, but also set the independent filmmaking community on fire. A gritty and grimy outsider thriller that exists in a perpetual state of panic, SUN DON’T SHINE emphatically belongs in that exclusive category, a film that needs to be seen and discussed. MFF audience favorites Kentucker Audley (BAD FEVER) and Kate Lyn Sheil (THE COMEDY and V/H/S) star as a young couple pushed to the brink by extreme circumstances. As they drive through the sweat and murk of Florida, it becomes clear that they’re on the run—perhaps from their own miasma of ever-escalating jealousies and paranoia as much as from a shared terrible secret. Every aspect of this production is top-notch, from the perpetual-motion-machine performances by Audley and Sheil to the moody and evocative 16mm cinematography. As with the beautifully abrasive provocations that are The Brown Bunny and Frownland, SUN DON’T SHINE seems to spring simultaneously from some ecstatic 1970s cinema wasteland and the present-day vanguard, even as it mounts a winning case for its own timelessness. 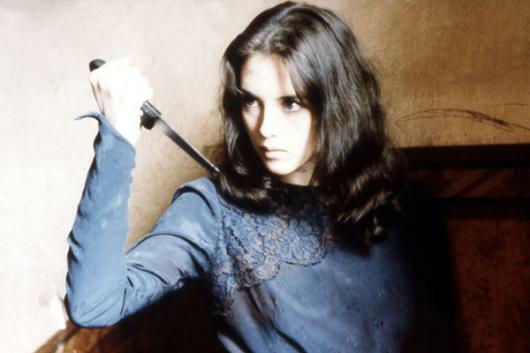 Recently revived cinema treasures like Zulawski’s POSSESSION and Loden’s WANDA (John Waters’ pick for MFF 2012) are other rare anchors of orientation for this free and unfettered work.